Federal-style pennant flown on the USS Wichita battleship, a heavy cruiser launched in 1937. Nicknamed "The Wicked Witch," the USS Wichita served in the North Atlantic and Pacific oceans during World War II. Margaret Ayres Weigester, the ship's honorary sponsor, acquired this item. Margaret was the daughter of William A. Ayres, a Congressman from Wichita, Kansas. 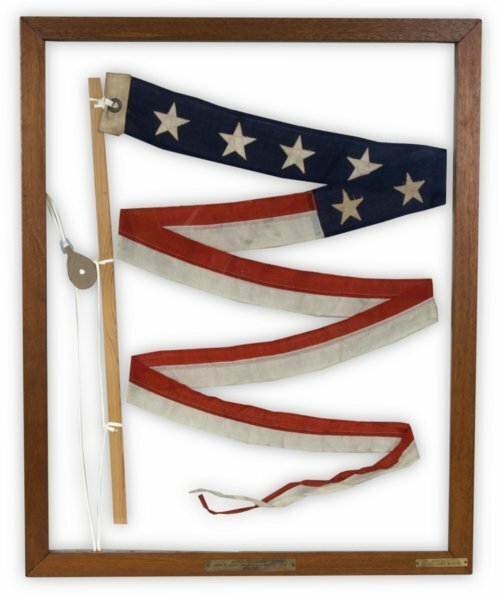 According to Weigester's husband, President Franklin Roosevelt presented her the pennant.